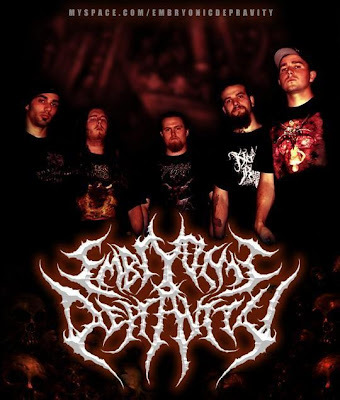 Embryonic Depravity started life in the final months of 2006, when the London, UK based band then known as 'Odium Incarnate' decided to take a different approach to their music, with shorter, more technical songs and an increased level of brutality. 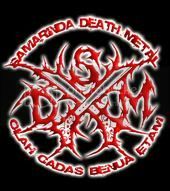 Taking influence from the likes of Disgorge (US), the band set itself the goal of creating a sound that was both viscerally intense, and cerebrally engaging. The band released a 2 track MP3 only demo in 2007 and went onto record another 4 track demo later that year which would eventually be released as part of a split CD with Japanese band Gorevent on Sevared Records in early 2009. In 2008 the band inked a deal with Permeated Records (Italy) and they recorded their first full length 'Constrained by the Miscarriage of Conquest' in early 2009 to be released in October of the same year. Amongst this the band have played gigs all over Europe as part of festival billings and a 5 date mini tour aswell as various gigs in their home country.